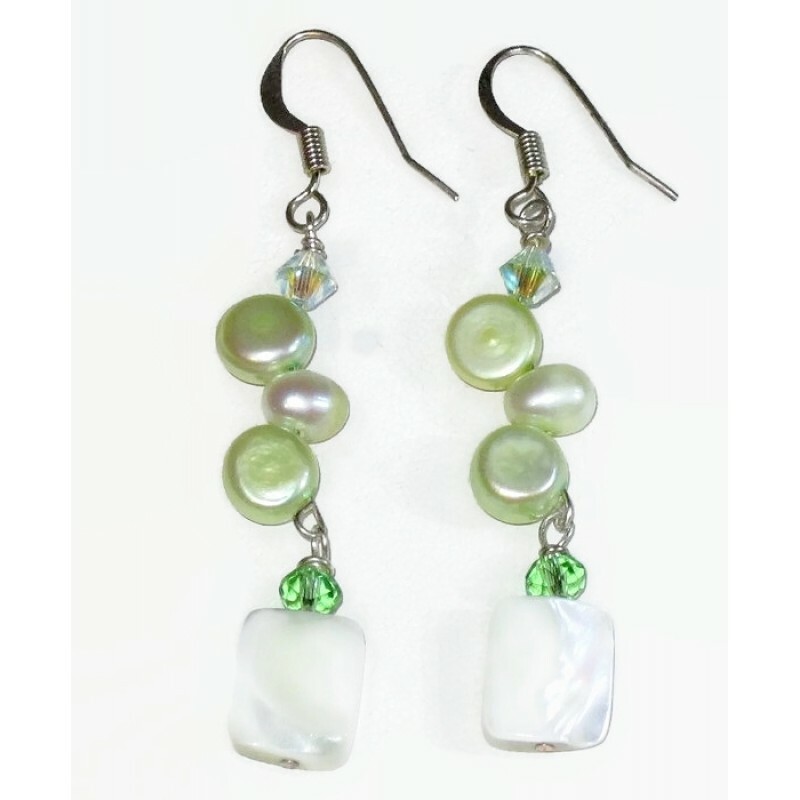 Dress up your outfit with this necklace set which features a laminated shell pendant, that is accented with freshwater pearls and Swarovski crystals. It has a silver-plated lobster clasp and measures 19 inches. The pendant hangs 2 1/4 inches from the necklace. 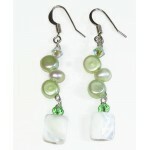 The entire length of the matching earrings including the silver-plated earwires is 2 1/8 inches.